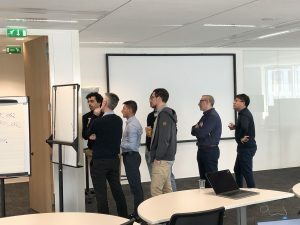 During the F2F meeting, the partners involved in Telco PaaS (CORD, VNFaaS, Monitoring as a Service), one of the use-case that the project is advancing, synchronize, discuss and integrate. The picture below shows operator, academia, vendor and Cloud operator collaborating hand-in-hand on the PoC. This demonstrates the benefit of the collaborative project.